Peace Corps Online: July 21, 2005: Headlines: Figures: COS - Malawi: Diplomacy: National Security: COS - India: IANS : Robert Blackwill says the visit of Indian Prime Minister Manmohan Singh and the pact he signed with US President George W. Bush is a "historic breakthrough"
July 21, 2005: Headlines: Figures: COS - Malawi: Diplomacy: National Security: COS - India: IANS : Robert Blackwill says the visit of Indian Prime Minister Manmohan Singh and the pact he signed with US President George W. Bush is a "historic breakthrough"
Peace Corps Online: Directory: Malawi: RPCV Robert Blackwill (Malawi) : Special Report: Diplomat, National Security Advisor, and Malawi RPCV Robert Blackwill: July 21, 2005: Headlines: Figures: COS - Malawi: Diplomacy: National Security: COS - India: IANS : Robert Blackwill says the visit of Indian Prime Minister Manmohan Singh and the pact he signed with US President George W. Bush is a "historic breakthrough"
Robert Blackwill says the visit of Indian Prime Minister Manmohan Singh and the pact he signed with US President George W. Bush is a "historic breakthrough"
According to Blackwill, who resigned last year as a senior official on the National Security Council and was the president's special envoy to Iraq, the visit opens up a path for continuing acceleration in India-US relations. Robert Blackwill served as a Peace Corps Volunteer in Malawi, Ambasssador to India, and as a Deputy National Security Advisor to Condoleezza Rice. 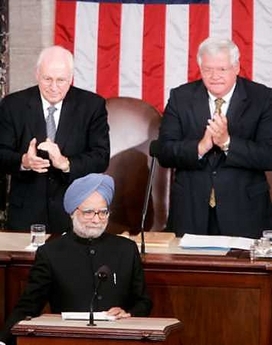 Washington, July 21 (IANS) The visit of Indian Prime Minister Manmohan Singh and the pact he signed with US President George W. Bush is a "historic breakthrough" and has destroyed entrenched ideologies about India, former official, envoy and strategic expert Robert Blackwill has said. "It was a historic breakthrough. That word is overused in India and the United States, but is absolutely true with respect to this visit and its accomplishments, particularly with regard to civilian nuclear cooperation," Blackwill, a former US ambassador in New Delhi and the man who lobbied with the administration for a changed stance towards India, told IANS in an interview. "Forty years of theology with respect to relations of India and the Non-Proliferation Treaty were swept away when the president and prime minister signed that agreement," he asserted. According to former Ambassador to India Robert Blackwill (RPCV Malawi), the visit opens up a path for continuing acceleration in India-US relations. "I give great, great credit to the president and Secretary of State (Condoleezza) Rice and the prime minister and Foreign Minister Natwar Singh on the Indian side," Blackwill said. 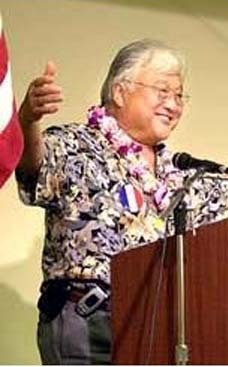 "What was accomplished began early on in 2001 when the president began to pursue transformation of bilateral relations." 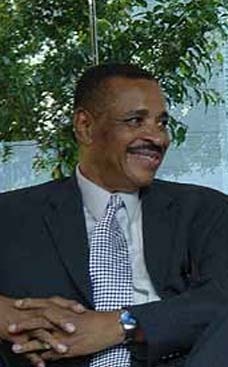 During his stint in India, Blackwill along with his then advisor Ashley Tellis was considered one of the driving forces behind implementing the accelerated strategic relationship with India. "This initiative was based on shared democratic values and very similar vital national interests," he asserted. "This breakthrough is really quite extraordinary and was produced not only on a continuum of the first BJP (Bharatiya Janata Party) and then this government but also very intense negotiation this week." The negotiation, he said, had continued right up to the last minute before the joint statement was released. "It went down to the wire but most such negotiation do go to the wire." Putting down speculation about which country came out the winner, Blackwill contended that in such a scenario "both sides have to come out ahead". 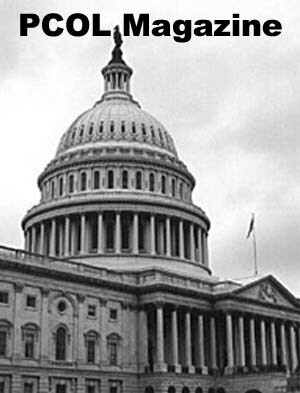 Blackwill believes the US Congress, despite some disbelievers, will after careful consideration support legislative changes in US nuclear regulations to accommodate the president's promises to India. "I think it will come to the view that this is in the interests of the United States." He contended there would always be naysayers but that the theologians stood defeated. "I think people did not expect such a big breakthrough, both media and observers in India and the United States. It came as a surprise so it will take some time to digest. But I think both sides, legislators and people, a majority will support it." Robert D Blackwill writes "What India means to me"
Ten days ago, I gave my final policy speech as US ambassador to India. Today, I shall share with you personal thoughts about how this country has shaped me during these past two years. (Text of speech delivered by Ambassador Blackwill on July 29, 2003, in New Delhi.) 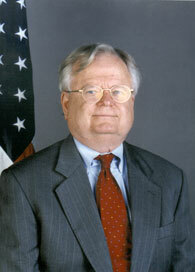 Robert Blackwill served as a Peace Corps Volunteer in Malawi, Ambasssador to India, and as a Deputy National Security Advisor to Condoleezza Rice. Ten days ago, I gave my final policy speech as US ambassador to India. Today, I shall share with you personal thoughts about how this country has shaped me during these past two years. Unlike Siddhartha, my meditations while preparing this address have not produced total Enlightenment. Unfortunately, Brahma and Saraswati, because of my own limitations, will not adequately inspire my remarks on this occasion with regard to my spiritual and intellectual advancement. I clearly need to spend more time at Brahma�s temple in Pushkar. And, despite my continuing contemplations, I am not always able to follow Krishna�s wise words, �Be thou of even mind.� He might have added, including at your Round Tables at Roosevelt House. Shortly after my arrival, I took the train from New Delhi to Mumbai to see and feel the land and people of India. You must understand that I love to ride the rails. Paul Theroux, the glorious American writer who was my friend in the Peace Corps in Africa more than thirty years ago, describes train travel like this, �the train soothed and comforted me and stimulated my imagination. It...provided access to my past by activating my memory. I had made a discovery: I would gladly go anywhere on a train.� That�s also me. 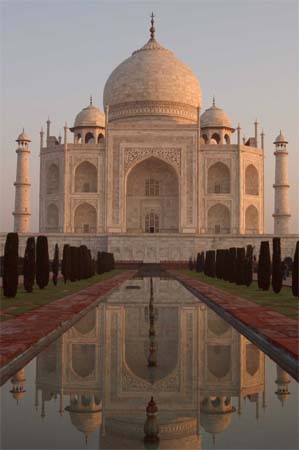 So let�s quickly take the train around India, pausing in Delhi before we begin. Learning about the seven cities. Presenting my credentials to President Narayanan in the Rashtrapati Bhawan, hearing my name read out by an official with the deepest voice on the planet. I so wished that my mother, Roma from South Dakota, may her soul rest in peace, could have been there to see her boy, Bobby Dean, on that splendid occasion. I was astonished to find myself there. She would not have been surprised. 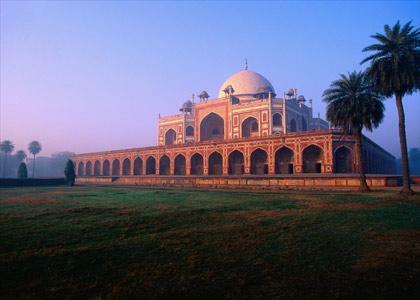 Visiting Humayun�s tomb with US Secretary of the Treasury Paul O�Neill who commented that when it was erected, those living on my continent had built no structure higher than twenty feet. So you see, we Americans fell behind you Indians very early on in the architectural sweepstakes. It seems doubtful that we will ever catch up. Back to travelling in India. Uttar Pradesh and Uttaranchal - the heat, the dust, and the glacial source of the Ganga. Like so much of India, alpha and omega provide conflicting context. The vale of Kashmir, yearning to be again a normal place. Dal Lake, which Ambassador John Kenneth Galbraith once told me, was as close to heaven as one could get on this earth. Ladakh�s high plateau with the Buddhist prayer flags flapping in the mountain wind. Sugar in strong tea, a taste that I acquired in India only in the last two months. I will now treasure that for the rest of my life. Someday, I am going to drive from Manali to Leh, listening to jazz all the way. Want to come along? Has this possibility never entered your mind? Not yet. Think about it. I recall speaking to jawans on the Siachen. Those men from all over India give new meaning to the word tough. Listening enraptured to a male singer accompanied by a harmonium in the Golden Temple. Gyrating frenetically in a borrowed red turban with a professional local dance group outside on a lawn on a balmy evening in Chandigarh. My ambassadorial reputation may have survived my hip-hop performance, but barely. However, here is a real curiosity. After my extremely energetic and, I thought, dazzling audition that night, I received no offer to join that dance team. I can only conclude that they could not find my address in India. I could be wrong, but my guess is that they are still trying to locate the mysterious long legged whirling dervish of that evening. As I speak with you today, perhaps they will see me on television and be in touch. Have no doubt. I am always ready to dance, fast or slow. It liberates me. How about you? As you can hear, I could go on along these lines for several months. But don�t you worry. I have arranged meals and bedding for all assembled here so that you will be comfortable as I continue my extended tour. 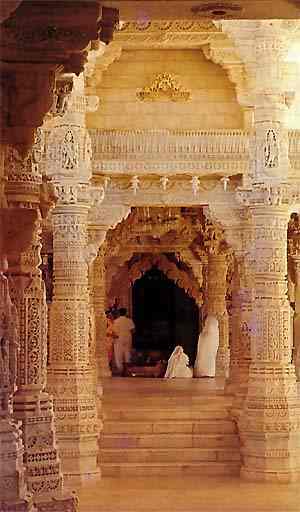 The Jain Dilwara Temples at Mount Abu. The Jain Dilwara Temples at Mount Abu. Exquisite wonders of the world. As has been so often the case during my stay in India, I had only two hours to look. I needed more than two lifetimes there and elsewhere in this uncommon land. Let me go on following the map and the train tracks. Inspired by the endurance and courage of the Gujaratis as they recover from the earthquake. Pulsating Mumbai. Speaking with its effervescent business community is for me like breathing pure oxygen. I cannot get enough of it. Sitting around in a small circle on wooden chairs, trading opinions with a half a dozen distinguished Mumbai painters for an hour about abstract expressionism in New York in the 1940�s and 50�s (Pollack, Kline and the rest). What a special treat. Exploring the Ajanta and Ellora caves and their wall paintings of people who felt all of the emotions that we currently carry around with us, including especially the elements of abiding love. Andhra Pradesh with its path-breaking e-governance, and food hotter than hot. Don�t let anybody tell you differently; those Andhra peppers are without doubt weapons of mass destruction. Ancient Christianity in Kerala; world class IT in Bangalore; the game park near Mysore where I first heard of the Columbia tragedy and stayed up all night writing my poem for Kalpana; the blend of Hindu and Islamic architecture in Chennai; the elephant carvings at Mamallapuram; the exquisite culture of Kolkata; the flowers and forests of Sikkim and the border at Nathula with no shortness of breath; the Northeast, Kaziranga and the Brahmaputra. What a country this is. And I have hardly experienced any of it. In these places, my omnipresent security detail from the Indian police - my gunmen as a good friend called them � who accompanied me everywhere in India, who kept me safe, and who were ready to give their lives to protect me. Oh, this India that I have come to know ever so slightly. The form and function of Indian architecture with its creation, assimilation and adaptation. Magnificent Mughal miniatures. Like you, I wish I owned two dozen of the originals. Or one. India�s innumerable and distinctive dances, beginning with the classical. The Vedas and the Upanishads. Indian family values, which I admire as essential first principles, and see in action many times every day in this country. The living symbolic power in this ancient civilization, the abiding aura, of � the tree. Of the circle. Of the triangle. Arranged marriages. The fourteen hundred years of Islam in India. Friday prayers. The Indian novel in English. Who is writing better fiction today than these folks? Mesmerising Hindustani music whose origins are deeply spiritual and therefore of particular meaning and comfort to me. The mighty Himalayas. They humble even Blackwill, at least when he is in sight of them and it isn�t a cloudy day. Can we move them to the Potomac to give me more balance and perspective? I would not be the only one in Washington who would be grateful. Fabulous cuisines. India is unquestionably the only country in the world where this Kansas lad raised on beefsteaks could happily be a vegetarian. But please don�t tell my relatives back on the mid-West farms. Holi. Kashmiri carpets. Weavers everywhere capturing India�s enveloping colours. The Bengal tigers in the wild at Ranthambhore. How could they be more in command? I could use their skills in my new responsibilities back home, and have sent them an email with a job offer. Haven�t yet heard back from those big cats yet, but I remain hopeful. The Monsoon that rains life into India. Surely this happens by God�s grace. The singular smell and sound as the drops strike the parched earth. Like so much of India for me, absolutely unforgettable. And more than any of this, the remembrances of the character of the people of India, which I will take back to America with me - of countless individuals over these two years who have taught me, counselled me, guided me, and protected me - who were generous to me beyond imagination. I could not repay their kindnesses to Wera and me no matter how many times I was reincarnated. Before I close these, my final ambassadorial remarks in India, I want to deal briefly with another subject. Many in this country have remarked upon my strong views against terrorism. In these feelings, to a considerable extent I draw on the white hot anti-terrorist convictions of my President, George W Bush � and on the September 11 attacks on the American homeland. But on this subject, like so many others, India has left its dominant and enduring imprint on me. While I was preparing for my Senate confirmation hearing in early 2001 in Cambridge, Massachusetts, I started to read regularly the Indian press. It was then that for the first time I encountered the devastating fact of terrorism against India. Sitting in my office at Harvard, I began to keep a daily count of those killed here by terrorists. Three on Monday. Seven on Tuesday. Fourteen on Wednesday. Five on Thursday. Two on Friday. Day after day. Week after week. Month after month. India�s death toll from terrorism mounted as the snow fell and melted in Cambridge, and that New England winter turned to spring. And I became more and more angry. Innocent human beings murdered as a systemic instrument of twisted political purpose. Terror against India that rose and fell with the seasons, year after year after year. By the time that I left the United States for India in the summer of 2001, this very personal death count that I was keeping had reached hundreds. And, for me, these were not abstract and antiseptic numbers in a newspaper story. Each death, I forced myself to remember, was a single person � an individual man, woman, child � with family, loved ones, friends. They each have a name. Just like us, they each had a life to lead. These are our mothers, our fathers, our brothers, our sisters, our babies, and our friends. Each had laughs to laugh. Tears to shed. Loves to love. Meals to eat. Accomplishments to record. Setbacks to overcome. Places to go. Things to do. Prayers to offer. All snuffed out by the killing hand of terror. On September 11 in America. Nearly every day in India. No respectable religion could excuse these merciless acts. No moral framework could sanction these abominations. No political cause could justify these murders of innocents. And yet, they go on. But, my friends, these terrorist outrages against my country and against yours will not continue indefinitely. We know this from the Ramayana, and many other holy books. Good does triumph over evil, although it sometimes takes more time than we would like. We will win the war on terrorism, and the United States and India will win it together - because we represent good, and terrorists are evil incarnate. God will make it so. In this context, let me conclude with a word about India�s religious beliefs. Someone once said, �the most sublime purpose of religion is to teach how to know God.� India has been working on that challenge from a variety of perspectives for several millennia. It has been my immense privilege during these two years to experience, and to profit from, these profound wellsprings of Indian spirituality. I will return to India. How could it be otherwise? Thank you, my friends, for listening to these, my personal musings. And, thank you India for every single thing that I have discovered here. Mother India has changed my life � forever. (Text of speech at the Federation of Indian Chambers of Commerce and Industry to be delivered on July 29, 2003, in New Delhi).